Traffic moves along Interstate 70 in the mountains. The state's Air Quality Control Commission voted in November to adopt stricter emission standards for new cars. Commissioners said the new rules will reduce harmful greenhouse gas emissions and save drivers money. But many auto dealers fear the new rules will significantly raise the cost of new cars, causing buyers to head to dealerships in other states. A group that represents 260 auto dealerships in the state filed a 29-page lawsuit this week against state regulators. The suit alleges the emission standards were adopted after "minimal deliberation" and without backing from proper studies. "We just don't think an unelected commission should tell Coloradans what kind of cars they can buy," said Tim Jackson, president of the Automobile Dealers Association. Jackson said car dealers have already taken steps to reduce vehicle emissions in the state. For example, he said dealers created the Clear the Air Foundation, a non-profit that helps car owners recycle their older vehicles. The state's Air Quality Control Commission voted to enact the stronger emission standards partly in response to news the rules were going to be relaxed at the federal level. Commissioner Chuck Grobe, of Northwest Colorado, noted the rules were also needed to improve air quality. "We have serious issues on the Front Range with air quality," he said. 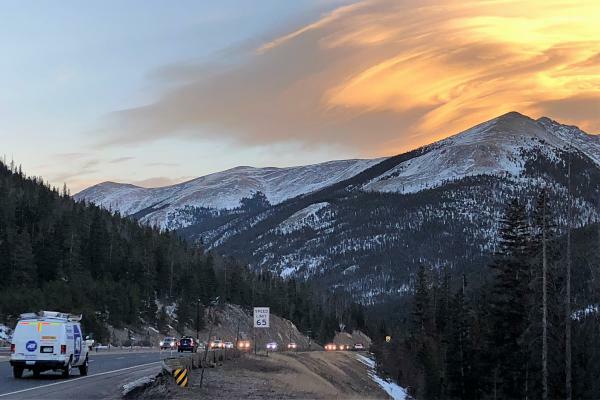 The new rules drew support from ski areas and other businesses who want to combat the effects of greenhouse gases and climate change. The regulations are part of the state's plans to cut its greenhouse gas emissions by 26 percent before 2025. Peter Butler, chairman of the Air Quality Control Commission, couldn't immediately be reached Wednesday morning to discuss the auto dealers' lawsuit.